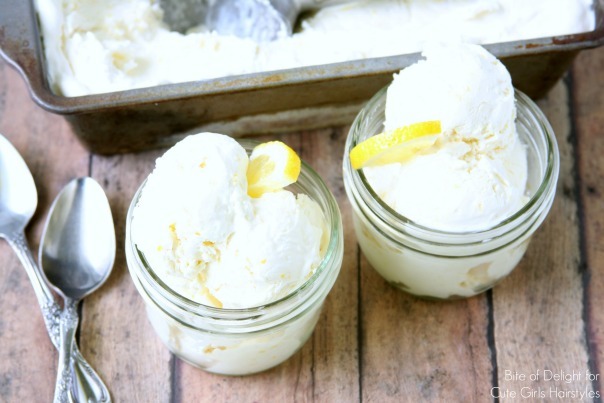 No-Churn Lemon Ice Cream is the perfect summer treat! It’s cold and creamy and tangy. Just right for a warm summer night or a yummy dessert after a BBQ. Last year I discovered no-churn ice creams and I fell in love! They are so easy to put together, and it’s so fun to create different flavor combinations. We loved them all, but my kids’ favorite was the S’mores flavor! 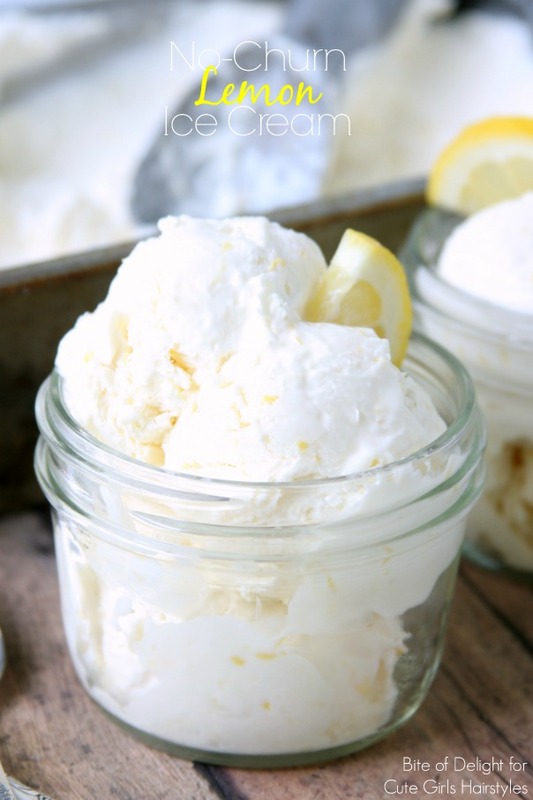 Since I love all things lemon, it seemed like the perfect thing to put in this ice cream. 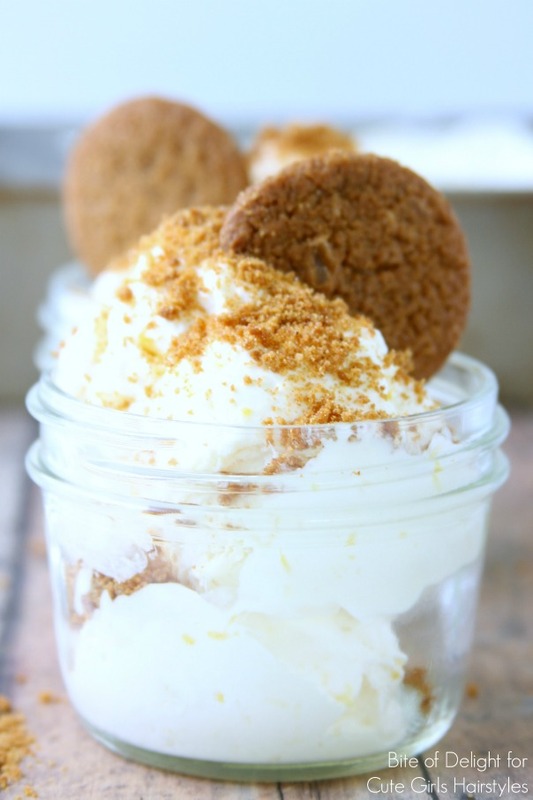 One of my favorite flavor combos is lemon and ginger, so add some gingersnap crumbs to your ice cream if you want to mix it up a little! In a medium mixing bowl, combine the sweetened condensed milk, lemon zest, lemon juice and lemon extract. Set aside. Whip the heavy cream just until stiff peaks begin to form. Fold the lemon/milk mixture into the whipped cream. Pour into a freezer-safe container (like a bread pan or plastic/glass storage container). 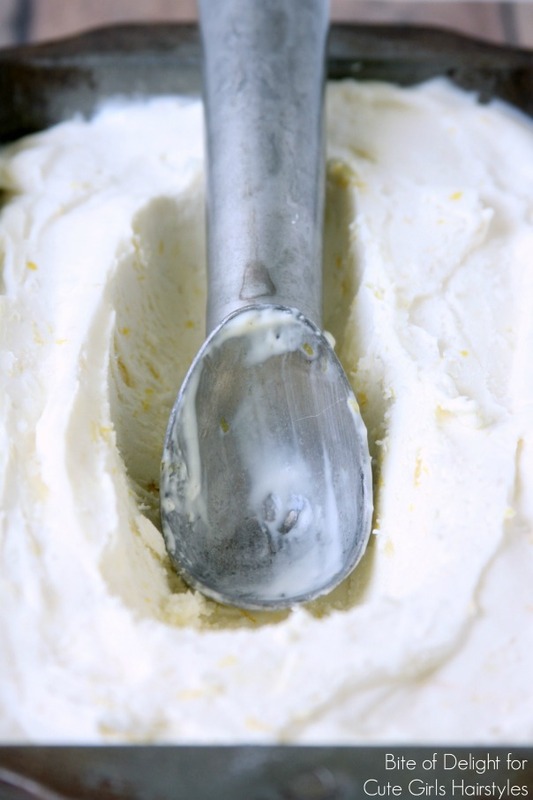 No-Churn ice creams tend to be extra creamy because they are a full-cream ice cream. I have never experimented with using part half and half or whole milk since they can’t be whipped like the heavy whipping cream. If you do want to add something besides cream, I would recommend using an ice cream machine to incorporate air into your ice cream base. If you don’t want to use full cream and you still want it no-churn, try substituting a 16 oz container of frozen whipped topping in place of half of the whipped cream (or use 32 oz in place of all of the cream). 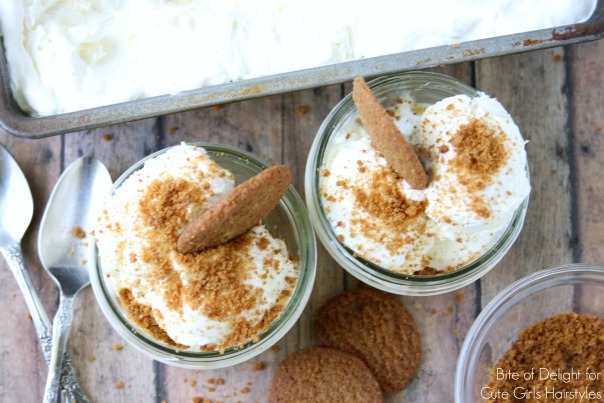 If you are interested in other delicious treat ideas I have tons over on Bite of Delight!